If you fall victim to a disaster, Help is just a phone call away. Don’t hesitate to call the office regarding any disaster-related tax questions or issues you might have. While the Net Investment Income Tax (NIIT) tends to affect wealthier individuals most often, in certain circumstances, it can also affect moderate-income taxpayers whose income increases significantly in a given tax year. Here’s what you need to know. The Net Investment Income Tax (NIIT) is a 3.8 percent tax on certain net investment income of individuals, estates, and trusts with income above statutory threshold amounts referred to as modified adjusted gross income or MAGI. What is Included in Net Investment Income? In general, investment income includes, but is not limited to interest, dividends, capital gains, rental and royalty income, non-qualified annuities, income from businesses involved in trading of financial instruments or commodities, and passive business activities such as rental income or income derived from royalties. What is Not Included in Net Investment Income? Wages, unemployment compensation; operating income from a non-passive business, Social Security Benefits, alimony, tax-exempt interest, self-employment income, Alaska Permanent Fund Dividends, and distributions from certain Qualified Plans are not included in net investment income. Individuals with MAGI of $250,000 (married filing jointly) or $200,000 for single filers are taxed at a flat rate of 3.8 percent on investment income such as dividends, taxable interest, rents, royalties, certain income from trading commodities, taxable income from investment annuities, REITs and master limited partnerships, and long and short-term capital gains. The NIIT is a flat rate tax that is paid in addition to other taxes owed, and threshold amounts are not indexed for inflation. Non-resident aliens are not subject to the NIIT; however, if a non-resident alien is married to a US citizen and is planning to file as a resident alien for the purposes of filing married jointly, there are special rules. Please call if you have any questions. Investment income is generally not subject to withholding, so NIIT is going to affect your tax liability for the 2018 tax year. In addition, even lower income taxpayers not meeting the threshold amounts may be subject to NIIT if they receive a windfall such as a one-time sale of assets that bumps their MAGI up high enough to be subject to the NIIT. The Net Investment Income Tax does not apply to any amount of gain that is excluded from gross income for regular income tax purposes ($250,000 for single filers and $500,000 for a married couple) on the sale of a principal residence from gross income for regular income tax purposes. In other words, only the taxable part of any gain on the sale of a home has the potential to be subject to NIIT, providing the taxpayer is over the MAGI threshold amount. Estates and Trusts are subject to NIIT if they have undistributed net investment income and also have adjusted gross income over the dollar amount at which the highest tax bracket for an estate or trust begins for such taxable year. In 2018, this threshold amount is $12,500. Special rules apply for certain unique types of trusts such a Charitable Remainder Trusts and Electing Small Business Trusts, and some trusts, including “Grantor Trusts” and Real Estate Investment Trusts (REIT) are not subject to the NIIT. Please note, however, that non-qualified dividends generated by investments in a REIT that are taxed at ordinary tax rates may be subject to the Net Investment Income Tax. Questions? If you need guidance on the NIIT and estates and trusts, help is just a phone call away. Individual taxpayers should report (and pay) the tax on Form 1040. Estates and Trusts report (and pay) the tax on Form 1041. Individuals, estates, and trusts that expect to be pay estimated taxes in 2018 or thereafter should adjust their income tax withholding or estimated payments to account for the tax increase in order to avoid underpayment penalties. For employed individuals, the NIIT is not withheld from wages; however, you may request that additional income tax is withheld. Wondering how the Net Investment Income Tax affects you? Give the office a call today and find out. While that might seem counterintuitive, consider this: if you fail to satisfy a customer and lose that customer’s business, you can always work harder to please the next customer. If you fail to have enough cash to pay your suppliers, creditors, or employees, you are out of business. Cash flow, simply defined, is the movement of money in and out of your business; these movements are called inflow and outflow. Inflows for your business primarily come from the sale of goods or services to your customers but keep in mind that inflow only occurs when you make a cash sale or collect on receivables. It is the cash that counts! Other examples of cash inflows are borrowed funds, income derived from sales of assets, and investment income from interest. Outflows for your business are generally the result of paying expenses. Examples of cash outflows include paying employee wages, purchasing inventory or raw materials, purchasing fixed assets, operating costs, paying back loans, and paying taxes. Note: A tax and accounting professional is the best person to help you learn how your cash flow statement works. He or she can prepare your cash flow statement and explain where the numbers come from. If you need help, don’t hesitate to call. While they might seem similar, profit and cash flow are two entirely different concepts, each with entirely different results. The concept of profit is somewhat broad and only looks at income and expenses over a certain period, say a fiscal quarter. Profit is a useful figure for calculating your taxes and reporting to the IRS. Cash flow, on the other hand, is a more dynamic tool focusing on the day-to-day operations of a business owner. It is concerned with the movement of money in and out of a business. But more important, it is concerned with the times at which the movement of the money takes place. In theory, even profitable companies can go bankrupt. It would take a lot of negligence and total disregard for cash flow, but it is possible. Consider how the difference between profit and cash flow relate to your business. Example: If your retail business bought a $1,000 item and turned around to sell it for $2,000, then you have made a $1,000 profit. But what if the buyer of the item is slow to pay his or her bill, and six months pass before you collect on the account? Your retail business may still show a profit, but what about the bills it has to pay during that six-month period? You may not have the cash to pay the bills despite the profits you earned on the sale. Furthermore, this cash flow gap may cause you to miss other profit opportunities, damage your credit rating, and force you to take out loans and create debt. If this mistake is repeated enough times, you may go bankrupt. The sooner you learn how to manage your cash flow, the better your chances of survival. Furthermore, you will be able to protect your company’s short-term reputation as well as position it for long-term success. The first step toward taking control of your company’s cash flow is to analyze the components that affect the timing of your cash inflows and outflows. A thorough analysis of these components will reveal problem areas that lead to cash flow gaps in your business. Narrowing, or even closing, these gaps is the key to cash flow management. Accounts receivable. Accounts receivable represent sales that have not yet been collected in the form of cash. An accounts receivable balance sheet is created when you sell something to a customer in return for his or her promise to pay at a later date. The longer it takes for your customers to pay on their accounts, the more negative the effect on your cash flow. Credit terms. Credit terms are the time limits you set for your customers’ promise to pay for their purchases. Credit terms affect the timing of your cash inflows. A simple way to improve cash flow is to get customers to pay their bills more quickly. Credit policy. A credit policy is the blueprint you use when deciding to extend credit to a customer. The correct credit policy – neither too strict nor too generous – is crucial for a healthy cash flow. Inventory. Inventory describes the extra merchandise or supplies your business keeps on hand to meet the demands of customers. An excessive amount of inventory hurts your cash flow by using up money that could be used for other cash outflows. Too many business owners buy inventory based on hopes and dreams instead of what they can realistically sell. Keep your inventory as low as possible. Accounts payable and cash flow. Accounts payable are amounts you owe to your suppliers that are payable at some point in the near future – “near” meaning 30 to 90 days. Without payables and trade credit, you’d have to pay for all goods and services at the time you purchase them. For optimum cash flow management, examine your payables schedule. Some cash flow gaps are created intentionally. For example, a business may purchase extra inventory to take advantage of quantity discounts, accelerate cash outflows to take advantage of significant trade discounts or spend extra cash to expand its line of business. For other businesses, cash flow gaps are unavoidable. Take, for example, a company that experiences seasonal fluctuations in its line of business. This business may normally have cash flow gaps during its slow season and then later fill the gaps with cash surpluses from the peak part of its season. Cash flow gaps are often filled by external financing sources. Revolving lines of credit, bank loans, and trade credit are just a few of the external financing options available that you may want to discuss with us. Monitoring and managing your cash flow is important for the vitality of your business. The first signs of financial woe appear in your cash flow statement, giving you time to recognize a forthcoming problem and plan a strategy to deal with it. Furthermore, with periodic cash flow analysis, you can head off those unpleasant financial glitches by recognizing which aspects of your business have the potential to cause cash flow gaps. Make sure your business has adequate funds to cover day-to-day expenses. If you need help analyzing and managing your cash flow more effectively, please call. Certain veterans who received disability severance payments after January 17, 1991, and included that payment as income should file Form 1040X, Amended U.S. Individual Income Tax Return, to claim a credit or refund of the overpayment attributable to the disability severance payment. The refund is the result of the Combat-Injured Veterans Tax Fairness Act passed in 2016. Most veterans who received a one-time lump-sum disability severance payment when they separated from their military service will receive a letter from the Department of Defense with information explaining how to claim tax refunds they are entitled to; the letters include an explanation of a simplified method for making the claim. The amount of time for claiming these tax refunds is limited; however, the law grants veterans an alternative timeframe of one year from the date of the letter from DoD. Veterans making these claims have the normal limitations period for claiming a refund or one year from the date of their letter from the DoD, whichever expires later. As taxpayers can usually only claim tax refunds within 3 years from the due date of the return, this alternative time frame is especially important since some of the claims may be for refunds of taxes paid as far back as 1991. Veterans can submit a claim based on the actual amount of their disability severance payment by completing Form 1040X and carefully following the instructions. There is also a simplified method where veterans can instead choose to claim a standard refund amount based on the calendar year (i.e., an individual’s tax year) in which they received the severance payment. Claiming the standard refund amount is the easiest way for veterans to claim a refund because they do not need to access the original tax return from the year of their lump-sum disability severance payment. Veterans eligible for a refund who did not receive a letter from DoD may still file Form 1040X to claim a refund but must include additional documentation to verify the disability severance payment. Veterans who did not receive the DoD letter and who do not have the required documentation showing the exact amount of and reason for their disability severance payment will need to obtain the necessary proof by contacting the Defense Finance and Accounting Services (DFAS). Please contact the office if you need additional information or assistance filing Form 1040X. Taxpayers who make an effort to comply with the law but are unable to meet their tax obligations due to circumstances beyond their control may qualify for relief from penalties. This relief is based on all the facts and circumstances in a taxpayer’s situation. The IRS will consider this relief when the taxpayer can show they tried to meet their obligations but were unable to do so. Situations, when this could happen, include a house fire, natural disaster and a death in the immediate family. Taxpayers who received a notice or letter saying the IRS didn’t grant the request for penalty relief may appeal. If you have any questions about IRS penalties, please call. Under the Protecting Americans from Tax Hikes (PATH) Act, Individual Taxpayer Identification Numbers (ITINs) that have not been used on a federal tax return at least once in the last three consecutive years will expire December 31, 2018. In addition, ITINs with middle digits 73, 74, 75, 76, 77, 81 or 82 will also expire at the end of the year. These affected taxpayers who expect to file a tax return in 2019 must submit a renewal application as soon as possible. ITINs are used by people who have tax filing or payment obligations under U.S. law but who are not eligible for a Social Security number. With more than 2 million ITINs set to expire at the end of 2018, taxpayers should submit renewal applications for Form W-7, Application for IRS Individual Taxpayer Identification Number soon to beat the rush and avoid refund delays for next year’s tax returns. While spouses or dependents residing inside the United States should renew their ITINs, spouses, and dependents residing outside the United States do not need to renew their ITINs unless they anticipate being claimed for a tax benefit (for example, after they move to the United States) or if they file their own tax return. That’s because the deduction for personal exemptions is suspended for tax years 2018 through 2025 by the Tax Cuts and Jobs Act. Consequently, spouses or dependents outside the United States who would have been claimed for this personal exemption benefit and no other benefit do not need to renew their ITINs this year. To renew an ITIN, a taxpayer must complete a Form W-7 and submit all required documentation. Taxpayers submitting a Form W-7 to renew their ITIN are not required to attach a federal tax return. However, taxpayers must still note a reason for needing an ITIN on the Form W-7. Federal tax returns that are submitted in 2019 with an expired ITIN will be processed. However, certain tax credits and any exemptions will be disallowed. Once the ITIN is renewed, applicable credits and exemptions will be restored, and any refunds will be issued. As a reminder, the IRS no longer accepts passports that do not have a date of entry into the U.S. as a stand-alone identification document for dependents from a country other than Canada or Mexico, or dependents of U.S. military personnel overseas. The dependent’s passport must have a date of entry stamp, otherwise additional documents to prove U.S. residency are required. Hurricane season runs June 1 to November 30. With hurricane season well underway, taxpayers should watch out for disaster-related scams carried out by criminals and scammers who often try to take advantage of the generosity of taxpayers wanting to help victims of major disasters. Impersonating charities to get money or private information from well-intentioned taxpayers. Setting up bogus websites use names similar to legitimate charities to trick people to send money or provide personal financial information. Claiming to be working for or on behalf of the IRS to help victims file casualty loss claims and get tax refunds. Operating bogus charities and solicit money or financial information by telephone or email. Not give out personal financial information such as Social Security numbers or credit card and bank account numbers and passwords to anyone who solicits a contribution. Taxpayers suspecting fraud by email should visit IRS.gov and search for the keywords “Report Phishing.” Disaster victims can call the IRS toll-free disaster assistance telephone number (866-562-5227) and speak to someone who will answer questions about tax relief or disaster-related tax issues. More information about tax scams and schemes may be found at IRS.gov using the keywords “scams and schemes.” If you have any questions, don’t hesitate to call the office as well. If you’re still doing your accounting manually you are at a competitive disadvantage–even if you’re a very small business. You might be managing just fine using Microsoft Word for invoices and records and Excel for reports, but keep in mind that many of your rivals digitally manage their financial data. Some of your competitors likely use QuickBooks; it’s the market leader, and it’s on millions of desktops. While you might feel that the products and/or services they use are not necessarily superior to what you are using, they have an edge because digitally managing their financial data enables them to run their businesses more efficiently. Furthermore, when you use software like QuickBooks your customers perceive you as someone who is technology-savvy–and it could help you build better customer relationships. Maybe it’s time to update your accounting system too, but first, let’s take a look at what your competition has learned about digitally managing their financial data and what you, too, can experience when you use QuickBooks. Instant data access. Do you have a customer on the phone with a problem concerning an invoice or payment? QuickBooks’ search tools help you track down the smallest detail in seconds. Minimized errors. Once you’ve entered data into QuickBooks, whether it’s a customer’s address or the price and description of a product or service, the software stores it. It will appear in lists that you can access when, for example, you’re creating invoices. Not only does this improve accuracy, but it also makes duplicate data entry unnecessary. Improved customer relationships. Your customers want answers when they have problems or questions, and they want them quickly and accurately. QuickBooks lets you store all needed details about customers in records, including contact information, payment particulars, and transaction history. Nothing helps encourage future sales like a company that knows its customers. 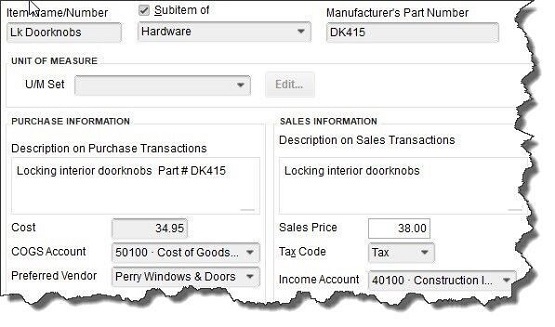 Figure 1: Once you’ve created an item record, for example, QuickBooks stores it for use in transactions. Faster payments from customers. QuickBooks supports merchant accounts. Sign up for one, and you’ll be able to accept direct bank transfers and credit/debit cards from customers. You can automatically include a payment stub on invoices to speed up the remittance process. Real-time account balances. Supply your login information for your online banks and other financial institutions, and QuickBooks can connect to them. It imports cleared transaction data regularly and helps you reconcile your accounts. You can even set it up to pay your bills electronically. Time-tracking. If you (or your employees) provide services that are billed back to customers, you can create time records individually or on a timesheet. These blocks of hours and minutes can be marked billable, so they’ll appear the next time you start an invoice for any affected customers. Figure 2: If your company sells services, you can create individual time records or comprehensive timesheets and mark sessions as billable. A more contemporary image. Those invoices and statements you create in Word–or worse, write by hand–contribute to your customers’ impressions of you and your commitment to using state-of-the-art technology to serve their needs better. When you email professional-looking, carefully-customized sales, and purchase forms, you’re likely to go up a notch in their eyes. Feature flexibility. You can use a little of QuickBooks and still have it be worth your time and technology dollars, or you can stretch its capabilities to the limits. If the latter happens, you may want to expand the software’s reach by integrating it with one of the hundreds of add-ons available in areas like inventory, invoicing and billing, and CRM. Time and money savings. Believe it or not, this is the most compelling reason to use QuickBooks. Yes, you must pay upfront for the software, and it takes time to get used to using it, but you’ll soon see that your investment will reduce the hours you spend on accounting. And that means you’ll have more time to do what only you can do: make your business flourish by planning for its future and taking the actions that will move you toward greater success. Have you installed QuickBooks but are having trouble using its features fully? Do you need some guidance, particularly around advanced reports? Don’t hesitate to contact the office and let a QuickBooks expert assess where you are with the software and devise a plan to complete its implementation. You may be surprised to learn what you can do. Employers – Social Security, Medicare, and withheld income tax. File Form 941 for the second quarter of 2018. This due date applies only if you deposited the tax for the quarter in full and on time.